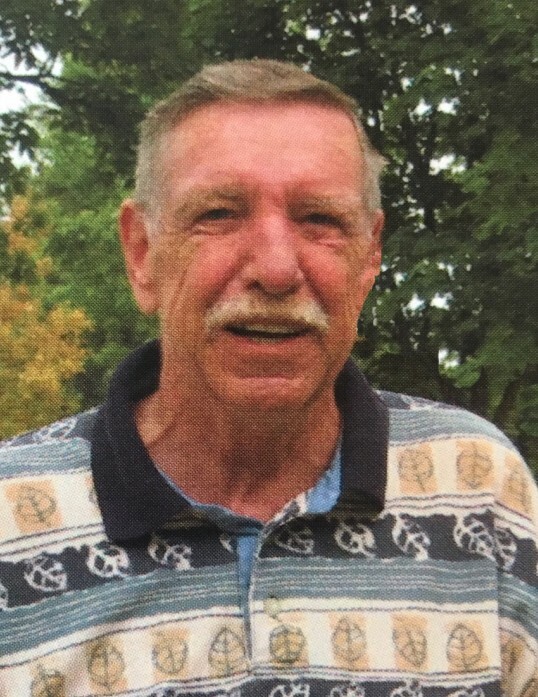 Jerry Arlen Emmert was born August 26, 1938 and died March 17, 2019. He was 80 years old. Jerry was the fourth of six children born to Clifford and Nota (Shanholtzer) Emmert. He grew up on a farm near Hancock, Minnesota and attended school there. He graduated from Hancock High School in 1956 and immediately joined the US Navy. Jerry married Donna Christianson from Cyrus, Minnesota on September 5, 1959 in Long Beach, CA. He continued his service with the navy while Donna returned to finish college. Jerry was honorably discharged in 1960 and came back to Minnesota. The couple settled in Hoffman. Jerry did carpentry work in the Alexandria area in the early days. He was hired by Bud Arnquist to help in the hardware business in 1961. Jerry's carpentry skills were put to good use when he and his two brothers-in-law built the house on Louisiana Ave in Hoffman for his growing family. A daughter, Laura, was born in 1962 and a son, Jay, in 1964. Jerry worked for Arnquist Hardware for many years and then purchased the business from the Arnquist family in 1983. When Emmert's Hardware was sold in 1997, Jerry worked at the Hoffman lumberyard for a time before completely retiring to the house on Red Rock Lake. Jerry was very active in the Hoffman community. He was a charter member of the Hoffman Lions Club and received their Melvin Jones Fellow Award. He participated in the volunteer fire department, served on the city council and as church treasurer. He enjoyed many hours with friends in a weekly bowling league, men's golf night, camping and snowmobiling weekends, the annual grouse hunting trip and “working the chains” at the high school football games. Jerry lived at Henneman's Country Care near Evansville Minnesota for the last years of his life where they cared for him as family. While he was there, there were countless games of cribbage, friendship and conversation. Jerry enjoyed watching sports of all kinds and spent many hours watching the games on TV. Jerry is survived by his wife of 48 years, Donna, of Somerset WI. ; Children - Laura & Steve Ziemer of Alexandria MN and Jay Emmert & Roxanne Kendle of Houlton WI. ; Grandchildren - Courtney Ziemer & Mike Wolfgram, Rachel & Ramey Thomas, Trenton Ziemer, Jack Emmert, Sophia Emmert and two great-granddaughters - Diem and Wrenley Thomas; Siblings - Clifford & Alice Emmert, Nellie Anderson, Larry & Shirley Emmert; Sister-in laws - Teresa Emmert and Carol VerSteeg; and many nieces and nephews. Jerry joins his parents and 2 younger brothers, Ivan and Dale, in heaven. In lieu of memorials to the family, donations to Grant County Ducks Unlimited or the Hoffman Lions Club would be appreciated. Visitation will be 1:00 – 2:00 PM with a 2:00 PM Prayer Service on Saturday, March 30, 2019 at Erickson-Smith Funeral Home, Hoffman. Rev. Irving Arnquist officiating. Spring interment at Land Cemetery, Hoffman.